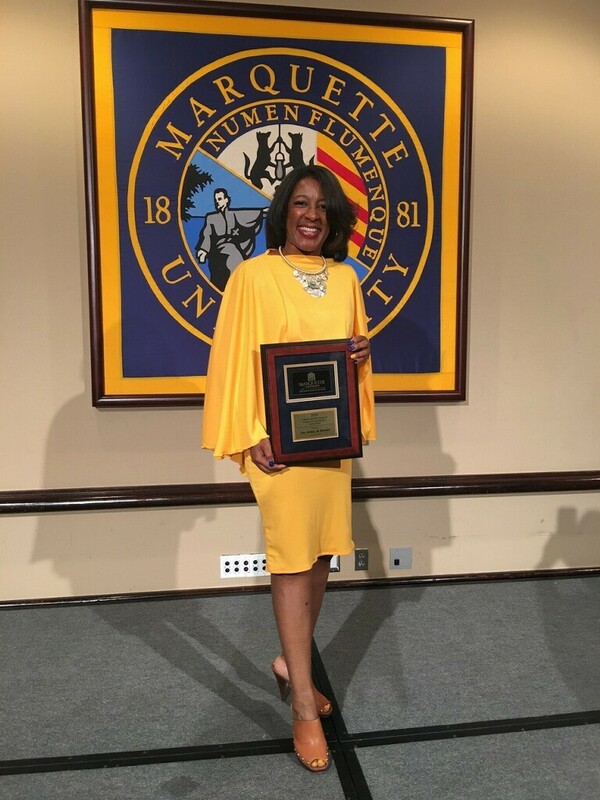 Dr. Sybril Brown, professor of media studies, was recently awarded the By-Line Award from her alma mater, Marquette University. The By-Line Award honors an alumnus/a who has attained distinction in journalism and related fields. Brown is an Emmy Award-winning multimedia journalist, educator, author, international speaker and presenter with an interesting take on the internet. She’s written a book that compares today’s most innovative network with another from the early- to mid-19th century: the Underground Railroad. Brown — “Dr. Syb” to her students — began her career working behind the scenes at major television network affiliates in Milwaukee and Chicago, then moved to a station in Nashville as a reporter, filling in when needed as a news anchor and talk show host. Along the way, she earned a master’s degree in education and a doctorate in higher education administration. She now teaches courses in social media reporting, digital citizenship, mass media and entrepreneurial media, with a research focus on innovation, civility, and digital and social media. Brown calls her time at Marquette “a consistent positive memory.” She was a resident adviser, president of the Black Student Association, member of Alpha Kappa Alpha sorority, and worked at the student newspaper and radio station. She also worked closely with Student Affairs to improve campus and community relations, which she says was “extremely influential” in her decision to earn advanced degrees in education.